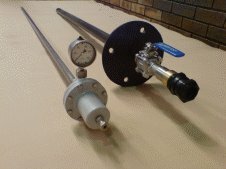 The PrepQuip SpringSparge Sparger system is being successfully used in gas injection and flotation applications worldwide. The design of this innovative Gas-Sparger system incorporates a built-in fail-safe mechanism that prevents Sparger blockages due to gas supply pressure failure. 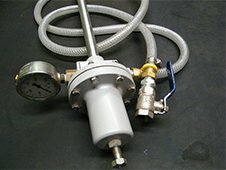 This system is offered with PrepQuip’s superior sealing port arrangement as a standard. This facilitates Sparger removal while the plant is still in operation eliminating the necessity for plant shutdown during maintenance on the Sparging System. PrepQuip’s SpringSparge Sparger ensures the equal distribution of even sized bubbles.